So far the best part of my project to build the 6080 King’s Castle has been getting to dig into my old LEGO stash. Since I’m still waiting for my BrickLink delivery, this is mostly what I’ve been doing. Completely unrelated to LEGO Castle – since the first castle was released in 1978 – but perfectly related to my LEGO rediscovery journey, I stumbled onto some of my father’s old bricks from the 1960s. Only the second full decade for LEGO, and the first decade in my native Finland, the 1960s were an interesting LEGO period where many things were familiar, but also a lot was different and still only taking shape. 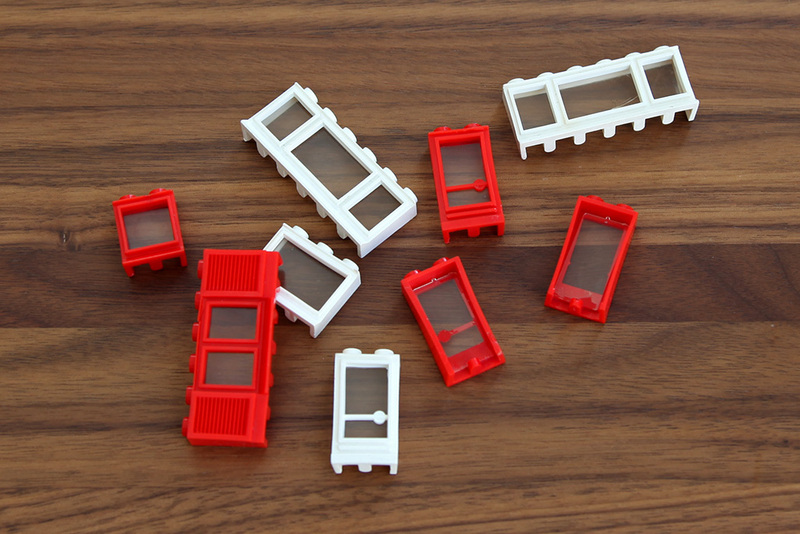 While LEGO did use a variant of that square window still in the 1980s, look at those doors. They are only three bricks tall (most of the windows in the photo are two tall) and do not open. I also have some large three tall windows that could be used as display windows, but they have been quite bent over the years and would require some refurbishing before use. This points out the second major change: physical differences. 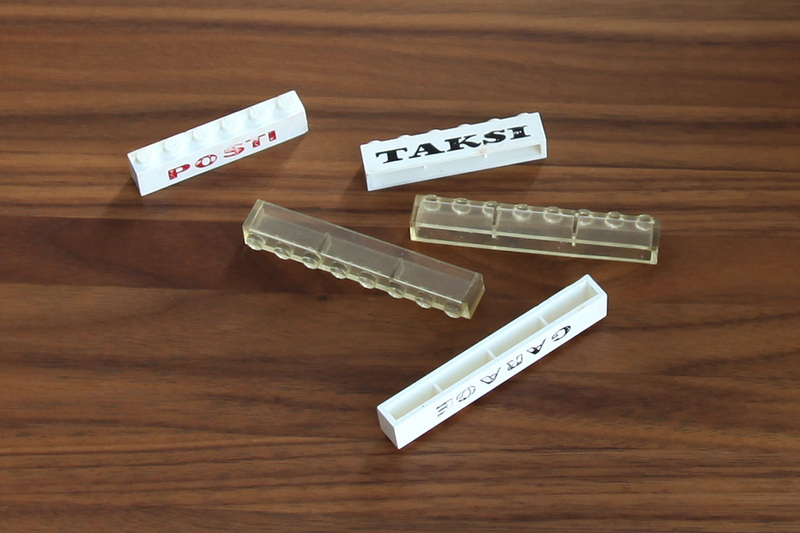 In the 1960s LEGO still used a softer plastic for some of its pieces. The window design is also quite open from the bottom, so it lacks the solid frame modern LEGO windows have – hence most of my 1960s windows and doors are a little bent. Also, earlier LEGO plates used a square locking pattern on the bottom, which is very loose too, or at least has become very loose over time. Apparently this changed over the course of the decade, as I have 1960s LEGO plates with both the old and new locking patterns. The new pattern makes for a much tighter fit. 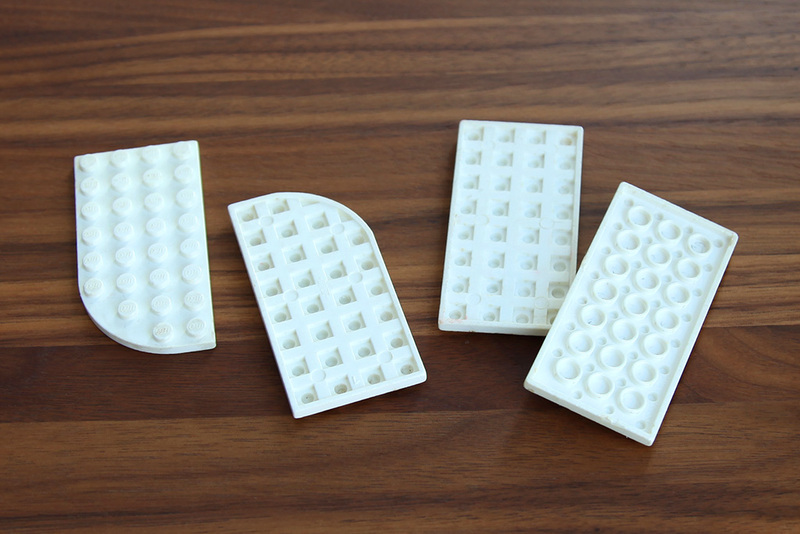 Note though, that the rounded corners in the plates (even in the ones with the new pattern) do not have the now-usual dents, so they can not be placed over larger plates as modern LEGO plates with rounded corners can. 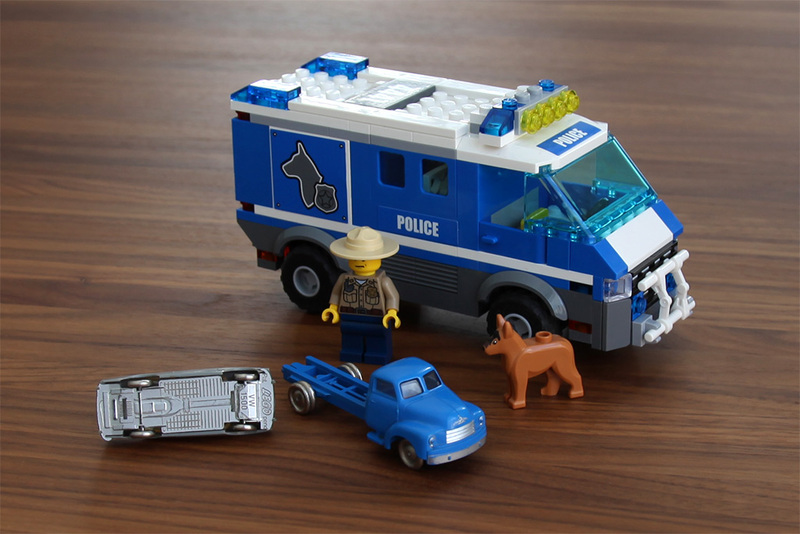 The blue truck shows no model number other than a LEGO logo, but the grey car (ironically the grey is even bluer than bley), reads “Pat. LEGO pend VW 1500” (patent pending, LEGO, Volkswagen 1500) in the bottom. Worldbricks is a little sporadic on 1960s LEGO catalogs, but I managed to find a mention of a 267 Volkswagen 1500 in garage (Google that phrase and many more links and images pop up) from the 1965 LEGO catalog. I guess there is or was a transparent garage brick for it somewhere, but I couldn’t find it. The 1:87 car is really small, smaller than your average Matchbox car. The rolling wheels in the cars are metal and the bodies look plastic. Doors do not open. As a child I remember comparing these small cars to the LEGO minifig cars of the late 1970s and early 1980s and finding the small ones quite silly. Now, as an adult, I do appreciate them a bit more. There is the nostalgy factor of course, but also the idea that you could build your LEGO cities in a more realistic scale, where the cars were small like in real life and not almost single-story high like the modern minifig cars are. 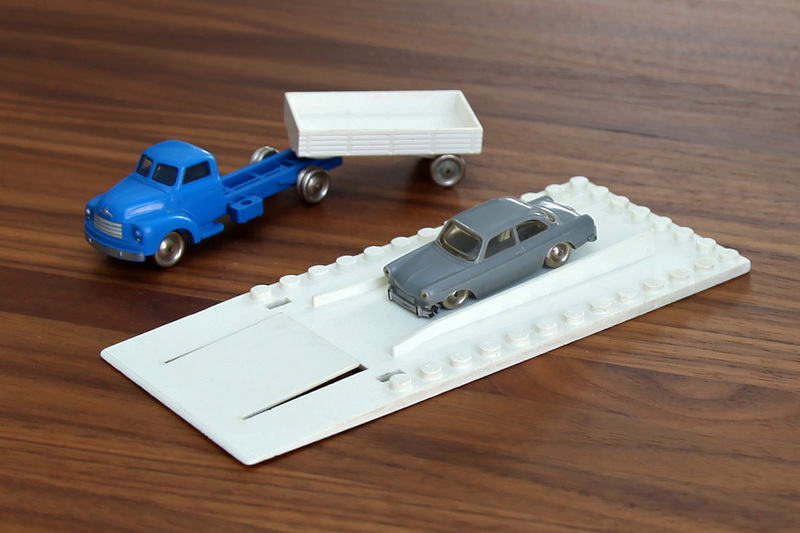 Of course the downside was the lack of car building and minifigure play, which are not insignificant omissions – still, I think the LEGO Architecture series might benefit from cars of this kind. Funny thing is, looking at the 1960s catalog pictures and my inherited – mostly red and white – 1960s bricks, I realized I had never actually seen these old models built. Sure, I used the bricks in my own designs, but I had never seen any original LEGO models from that era. What a treasure trove the Internet is. 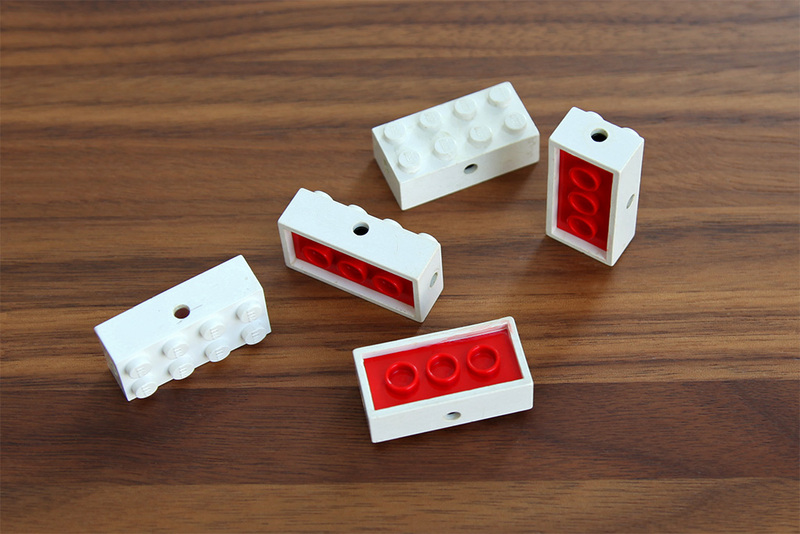 Worldbricks seems to even host some 1960s LEGO instructions. Perhaps as a future project I will try to recreate a vintage 1960s LEGO model. But enough of ancient history for now, back to the LEGO Castle! Thank you for the feedback. I appreciate it!